Representing Barclays Africa, Chief Executive, Regional Management Barclays Africa, Mizinga Melu says that finance and banking play a critical role in enabling social and economic progress, growth and development. �Access to sustainable energy is one of the key elements to attaining required growth and development goals. In so doing we continuously consider the impact of our day-to-day activities and create products and services that are not only commercially viable but also benefit society. 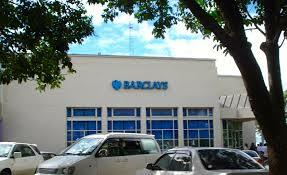 Barclays Africa recognises the challenges the power and energy sector faces, and the vital role that it plays as a catalyst to investment, industrial development and economic growth on the continent,� says Melu. �We recognise that significant investment is being made in the sector in Africa to address the increasing power and energy demands resulting from growth in Gross Domestic Product (GDP). The challenges faced by utility companies to meet the ever increasing demands are heavily dependent on securing the appropriate financing for projects,� she adds.. The Annual Meetings will draw on one of AfDB�s �High 5� priority programmes; Light up and power Africa under the theme Energy and Climate Change. The theme reflects the AfDB�s New Deal on Energy, and the key resolutions from the recent United Nations Climate Change Conference, COP21. Melu will be a panel member at the Affirmative Finance Action for Women in Africa (AFAWA) discussion on Wednesday, May 25. AFAWA encourages partnerships in investing in inclusive financial systems to empower African Women in Business. �We strongly believe that the role we play on the continent and our work through our Public Sector team is important to help drive the financial inclusion of women in Africa. We aim to reach thousands of people through financing infrastructure development, government and local authorities, and providing innovative funding sources,� says Melu. The annual meetings are AfDB�s flagship event and bring together some 5,000 delegates and participants, including finance, economy and trade ministers, development partners, representatives of international organisations, academia, civil society and the media. Delegates largely come from the Bank�s 54 regional (African) member countries and 26 non-regional member countries.